Are you familiar with Words Their Way? It's a word study program - ehhh, maybe not program - Let's just call it word study. 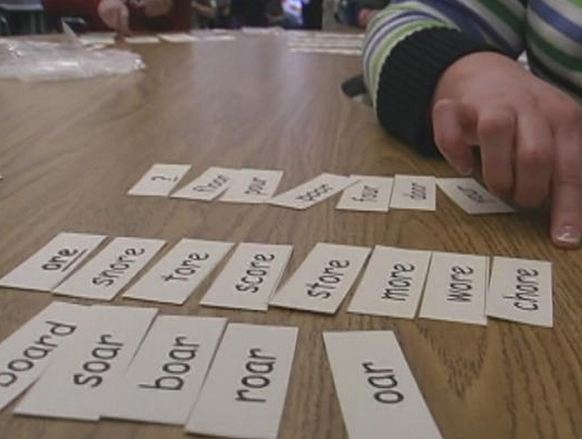 The aim of word study begins by helping little kiddos with phonemic awareness (hearing sounds and then connecting them to letters), and as they grow, to help the bigger kiddos make generalizations about word and spelling patterns. 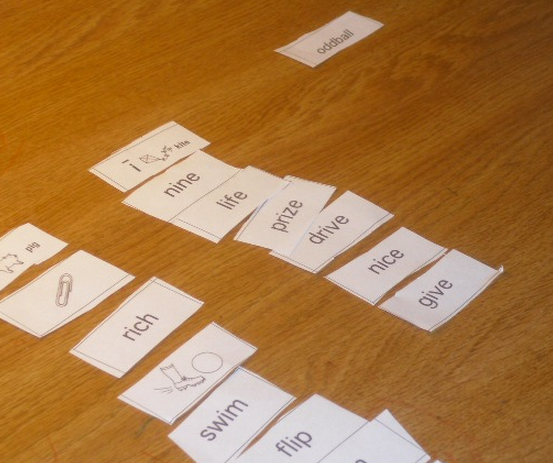 Word study is also about vocabulary development - in the younger grades, it's talking about words on any given word sort, and in the upper grades, it's about Greek and Latin roots. taught as a separate component outside of the reading and writing instruction. 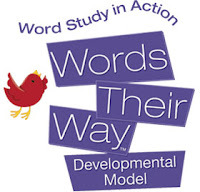 So what does word study look like? Did you watch the video? This first grader is using the vocabulary words consonant and vowel to describe what he was doing. He also found the oddball - been - which should say (bean) but doesn't. It follows the pattern of the -ee- but the sound doesn't follow the pattern, making it an oddball. Amazing thinking he does aloud as his teacher tapes it. Of course you will have do a little assessment and figure out which kids have like needs. You'll create up to three groups within your class. Then, you will give them sorts based on what their needs are. Explain why they put the word where they did. As the children are sorting, they are saying each word, talking about meaning (vocabulary), and putting the words in the correct place. Now, this one is obviously a suffix difference in how the words look, but there is more to this conversation. All of these words are adjectives, but the -able words are with base words that could stand alone. Also, the base words in these cases are verbs, and adding able changes it to an adjective. On the other hand, the words with the -ible suffix have a root word and these cannot stand alone. Can you see how there's much more to the conversation than just the suffix? Students are talking about word meaning, grammar, and they are comparing and contrasting base and root words. They determine the pattern - the teacher is not telling them the pattern. Students are constructing their new learning in a social way. This kind of learning runs much deeper than being told about a rule or memorizing a random list of words. Do you already use Words Their Way? Any helpful tips or ideas? Please share! There is SO much great information in this post, Michelle! I have heard a lot about Words Their Way, so it was nice to see and hear about it broken down the way that you did. Thank you for sharing! I'm a mom at home with a 6th grader who has a good spoken vocabulary, but a very lacking sense of how to spell words. 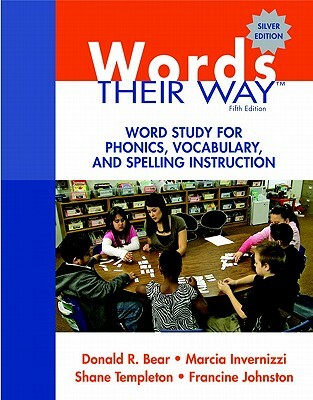 Does this book have the lists of words to include in a "sort" game/session? 1. Grab a tissue. 2. Read this.